Some places we do not merely visit, we become a part of! Places that touch your spirit, and replenish your soul. Where time fades, and your only schedule is the turning of the tides! 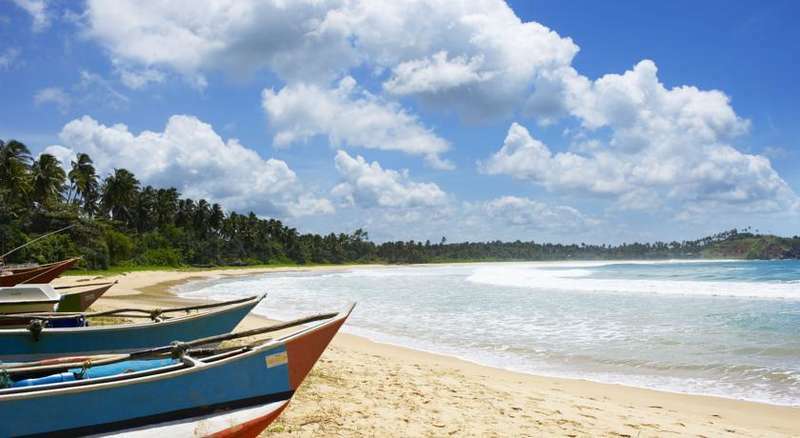 Welcome to an undiscovered Beach Resort Sri Lanka paradise. Welcome to Talalla. Of all the resorts in Sri Lanka, Talalla offers its guests a level of elegant simplicity just metres from the lapping waters of a secluded cove. Here, time is measured in moments of serenity and pleasure. It is a place to get away from it all and to absorb the unsurpassed natural beauty of Sri Lanka. A jungle paradise, Talalla is built low rise, and set into lush gardens, resplendent with tropical flora. 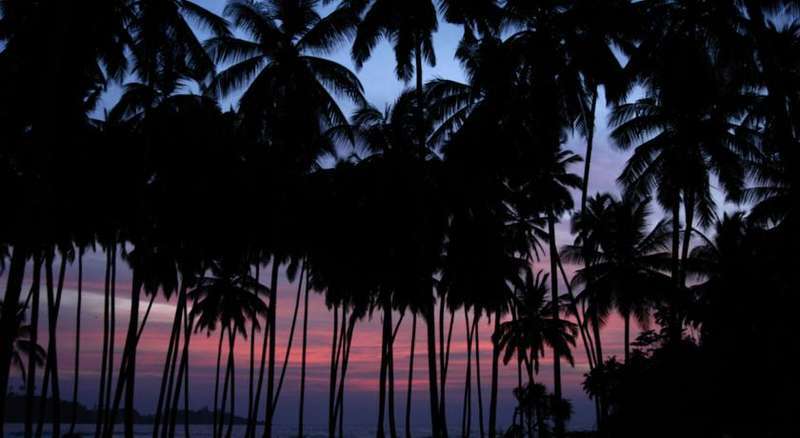 Monkeys play in the coconut palms as they sway softly in the breeze. Monitor lizards roam freely as they have since the days of the dinosaurs. Squirrels twitter as they dart through the grass. And at night, fireflies light-up the surrounds, guiding you lightly to your villa…. Relax in the 20 metre freshwater pool, swing in a hammock or lounge on a sun-chair by day and by night indulge in a cocktail at the bar, or lounge on the sofa nearby. Sri Lanka’s best kept secret is waiting for you, are you ready to replenish your soul and get in touch with nature? We offer an airport pickup and drop off service for our guests from both Colombo and Matalla Airports. From Colombo Airport, the journey takes around 3 hours. Talalla can be easily accessed by train. From Colombo Airport, get a taxi to Maradana Station. Buy a ticket for Matara Station. On arrival to Matara, get a taxi or tuk tuk to Talalla. The cost of the taxi should be 500 rupees. Cancellation more than 7 days prior to arrival: no charge (except peak period December – April); Cancellations during peak period, less than 7 days prior to arrival or No Shows: loss of deposit (20% of booking cost) or one night’s accommodation – whichever is more. Early departures will be charged 20% of the remaining booking cost, except in December and January when early departures will be obligated to pay full remaining booking cost. Please note that refunds can only be processed to the credit card used to make the booking and may take up to 28 days. All children are welcome (restrictions apply). One child or adult is charged USD 16 per person per night in an extra bed. The maximum number of extra beds in a room is 1. Restrictions: Children are welcome at Talalla during the months of February – November. Regrettably we are unable to accommodate children during the months of December and January. Children can only be accommodated in ground floor rooms due to safety concerns. Please note that if you book a first floor room and advise of a small child, your booking will be converted to a ground floor room. As all Big House rooms contain balconies, children cannot be accommodated in the Big House. Big House and Bungalow rooms are unable to be made into triple share.